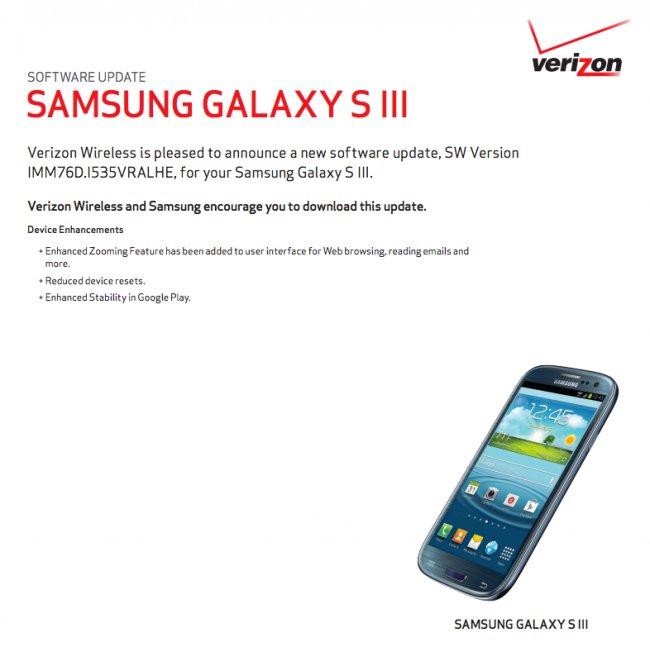 A new update for Verizon’s Samsung Galaxy S3 has been approved this morning as build VRALHE. The update is definitely not Jelly Bean, but does include a new “Enhanced Zooming Feature” for reading emails, browsing the web, and more. The update stabilizes Google Play and reduces device resets. And that’s it. The update is 62MB in size.